Land theft has rampantly covered the nation to the extent that land grbbers have not hastated stealing HE president of Uganda Yoweri Museveni’s land. 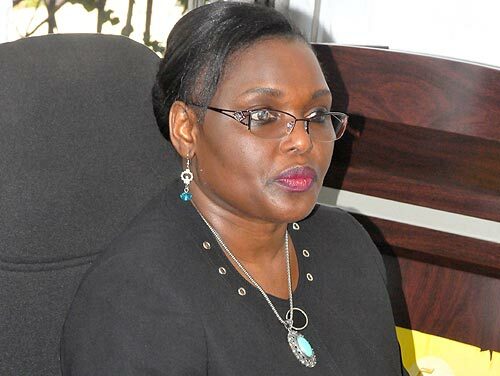 President Museveni has chosen run to Justice Catherine Bamugemereire to report land grabbers that stole his Kisozi land of 1square mile where he has been keeping his cattle for long. President Museveni discovered that land grabbers went and cut 300 hectares surprisingly with the land tittle. This land is located on Katwekambwa hill Maddu division, in Gomba district. Kamatenesi reported the matter to land commissioners included Robert Ssebunnya and Fredrick Ruhindi that were moving around Masaka,Ssembabule,Lyantonde and Gomba district following land matters. Kamatenesi said that she has been seeing many people encroaching Museveni’s land with the aim of stealing it but Museveni cannot face land commissioners directly that is why he sent her. “This is why we are seeking help from Bamugemereire’s commission so that they casn investigate about these thieves and he can also be helped” Kamatenesi said. Kamatenesi added that Museveni’s land stealers nickname themselves names like Cong,Byamukama and Katende Sseggane claim they are the owners of this land of 300 hectares. She further informed that these people sent her a written document showing that they have a land tittle that was offered to them by land office from Mpigi on 9th/October/2016 yet Museveni also has a Land tittle of one square mile on the same land. But when they saw army tents on the land they ran away and we have never seen them back” Kamatenesi said. It is said that Museveni bought this land from different people include, the late Bitali,Walugembe among others and he has all the documents. “There were also army officers that came claiming that they were given this land by UPDF land commission called NEC but when they got to know that the land belongs to Museveni we never saw them again” Kamatenesi said.